Search engine optimization certainly isn’t new, and at this point, most businesses know that it can help drive more website traffic. Despite this, only 55% of small businesses have invested in SEO. Too many businesses think they don’t need SEO, or they aren’t sure if the benefits will justify the investment. To help, we assembled a list of reasons why your business needs to seriously consider doing SEO, and key benefits of SEO services. Twenty years ago, we used dictionaries and encyclopedias to search for information. Now, we use search engines. Google alone sees about 63,000 searches every second. While individual search engines and algorithms may change constantly, search engines as a whole are here to stay. If you want your business to be found, you need to optimize your website so it’s visible to search engines. 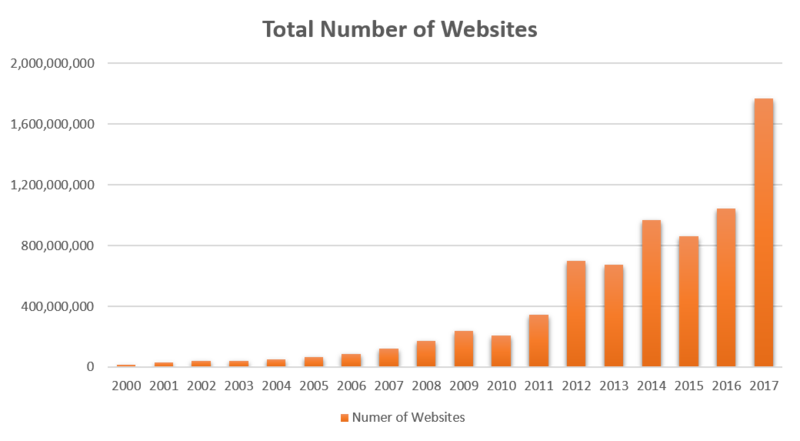 In the year 2000, there were 17 million websites online. As of June 2018, there are over 1.8 billion. So your business is facing drastically more competition than ever before. If you want to be found online, you can’t just build a website and assume that people will come. Effective SEO helps you rise above your competitors and create a strong online presence that differentiates you from the crowd. Speaking of competition, many of yours are already doing SEO and probably have been for a while. SEO has been a staple of most digital marketing plans for more than a decade, so if you haven’t started yet, you’re definitely behind. Every day that your competitors are outranking you in search, you are losing more website traffic and potential customers for your business. As of 2015, more searches were done on mobile devices than desktops, and the mobile trend is only continuing to grow. What’s more, Google recently updated their algorithms to a mobile-first approach and will penalize websites aren’t mobile-friendly. Optimizing your website for mobile devices is a critical part of any SEO strategy, which makes it a must-have in today’s mobile world. Google has over 200 ranking factors, but the top two are high-quality content and links. A search engine’s job is to provide the best, most relevant answer to the searcher’s query, and Google has learned that sites with great content often provide those best answers. Yet even the most well-written piece of content isn’t enough on its own. You need SEO to convince Google that your content really does provide the best answer to your customers’ questions. Now you understand why search engine optimization is important, and why many businesses have chosen to invest in SEO. But the question still remains: is it right for your business? To help answer that, take a look at these key benefits of an effective SEO program. One of the big advantages of SEO is it’s an inbound, or “pull” method of marketing. It doesn’t rely on you or your sales team endlessly cold calling or “pushing” your messaging to gain business. Instead, it draws in people who are actively searching for answers related to their questions and problems. Also, a good SEO strategy doesn’t just attract any traffic. It attracts the right traffic by optimizing your online presence to appeal to your target audience and making sure you’re visible in searches about your business and services. Again, because SEO drives high-quality traffic to your website, you’re attracting people who are more likely to become customers. According to Hubspot’s 2018 State of Inbound, 60% of marketers believe their best leads come from inbound sources like SEO and content, versus only 18% reporting the most success from outbound practices. SEO best practices go beyond just keywords and actually improve the online experience for your website visitors, which makes them more likely to convert to leads and customers. Speaking of leads, SEO is typically one of the most cost-effective methods for generating leads, especially compared to paid advertising. While you still need to invest in good SEO management, leads from organic search results don’t cost you anything directly, whereas you’re likely paying a dollar or two for every click from a PPC campaign. 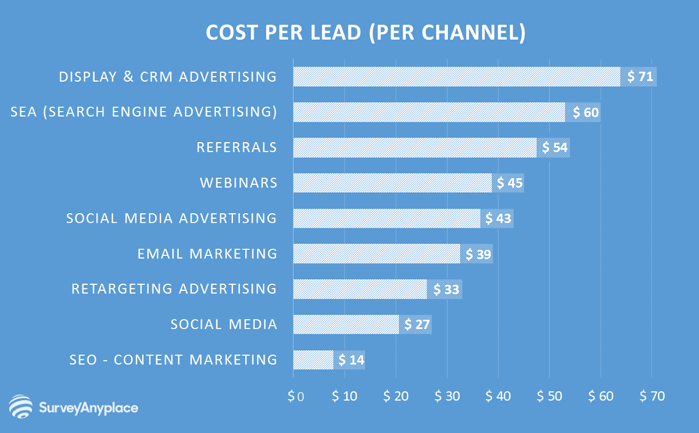 According to research on cost per lead, SEO and Content Marketing deliver the lowest cost per lead at around $14, compared to the $71 for display advertising. While only a small piece of the SEO puzzle, local SEO is critical for just about any business with a physical location. According to studies, 72% of consumers who did a local search visited a store within five miles, and 28% of searches for something nearby result in a purchase. In short, if you’re a local business, local SEO is an effective way to increase your bottom line. Who would you rather do business with: someone you’ve never heard of, or someone who has helped you out before and answered a bunch of your questions? Most of us would prefer the latter. SEO helps you get your content in front of potential customers when they’re searching for answers. The more useful you can be, the more likely someone is to think of you and reach out when they’re ready to buy. You can also gain brand awareness and trust simply by showing up in search results – even if people don’t click through to your website. In psychology, this is called the familiarity principle. Essentially, people tend to prefer things that they have seen or heard of before. So simply being seen in search results or (even better) getting your content displayed in a featured snippet can get your name in front of prospective customers and start building a positive impression. Finally, one of the best things about SEO is that the benefits extend far beyond your initial investment. 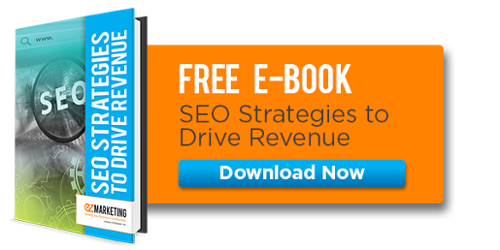 Unlike a pay-per-click campaign, SEO isn’t once-and-done. Well-ranking pages will continue to get organic traffic with no additional spend. In fact, “evergreen” content, or content that is relevant long past its publication date, will often gain more traffic over time. Take our article on generating leads for your business, for example. It received much more traffic the 2nd year after it was published. Keep in mind, however, that even with well-ranking content, you should continue to monitor and optimize it to deliver the best results. 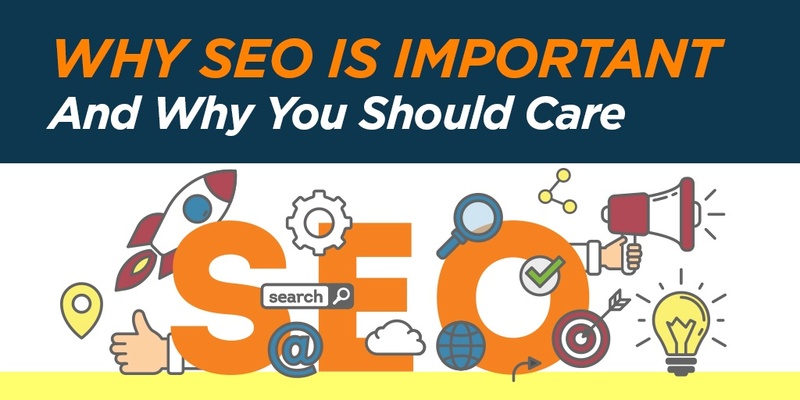 So not only is SEO incredibly important for how your customers search and find information, it also brings a myriad of benefits that can help drive more traffic, leads, and revenue for your business. If you need help managing your SEO, we offer multiple plans in SEO services. Interested in learning more? Download our e-book!